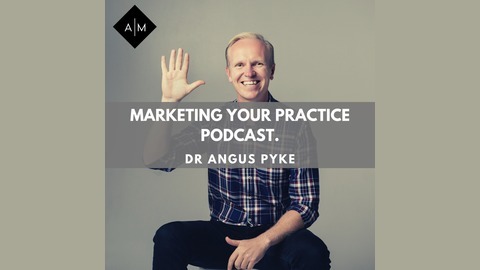 Welcome to the Marketing Your Practice Podcast where we help natural health practitioners and wellness experts build profitable, predictable and enjoyable practices. 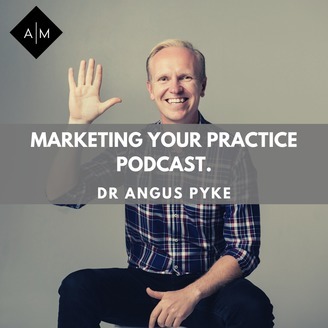 Each week we share simple, effective, easily actionable and proven heart centred marketing strategies. Join your hosts Dr Angus Pyke and Dr Tony Rose. Round 2 with Dr Tony Ebel - now that you've got a room full of people wanting to hear your message, how do you makes sure people take action and get scheduled, allowing you to assist in transforming their health. - The most important factors in having people take action. - What the gift shop factor is and why you must be implementing it. Dr. Tony Ebel is a Pediatric and Wellness Certified Chiropractor who specializes in and has extensive education, experience, and passion in neuro-developmental disorders and other special needs cases, as well as general pediatric, pregnancy, and family wellness care. Dr. Tony truly runs and operates his dream practice (one of the largest pediatric practices in the county) or what he also now terms “the practice of the future” for chiropractic. Partnering with Dr. David Jackson, Dr. Tony co-created the first ever online pediatric training program, Epic Pediatrics. He again joined with Dr. Jackson and his incredible practice-building and training program, Epic Accelerators, as an Epic Coach. Having himself benefited tremendously from his 3 years as an Epic Accelerator Client, it was time for him to simply turn around and “lend a hand up” to as many chiropractors as possible in this area as well. Tony's amazing wife Kristina keeps his craziness in check, three incredibly beautiful and gifted daughters Addison, Alaina, and Emilia, and an amazing little boy Oliver who himself went through “the perfect storm” spending 6 weeks in the NICU with a very grave prognosis of seizures and severe neurological damage and delays, only to come through that with zero seizures or developmental delays thanks to the early application of Pediatric Chiropractic. He is a health and wellness “junkie” who loves CrossFit, reading and learning, spending time with his family, and sports.